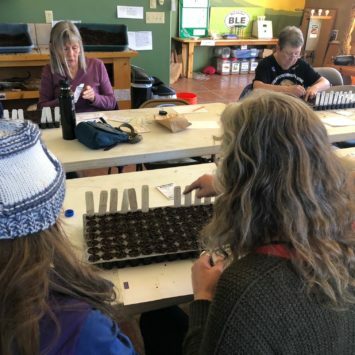 Last Saturday at Willow Bend, in partnership with the Arboretum, 15 participants spent their morning learning how to start seeds for at-home gardens. 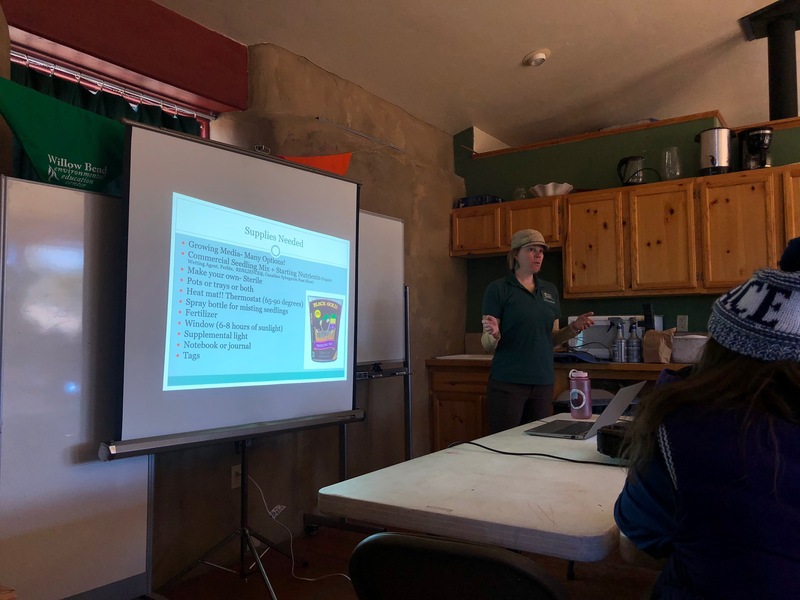 Gayle Nance, horticulturist at the Arboretum at Flagstaff, facilitated the lesson, covering topics such as necessary supplies for planting seeds, which seeds do best in which climates, and conditions essential to growing resilient plants. After learning about the essentials to seed starting, participants were able to get our hands dirty and plant some seeds. 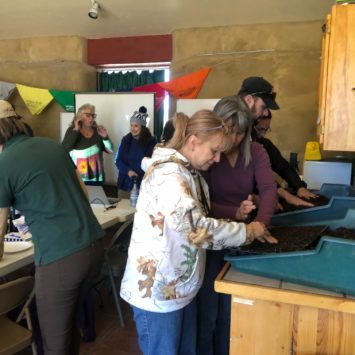 Participants split up into pairs, and filled up seed-starting trays with nutrient rich soil. By the end of the workshop, we started hundreds of seeds. The seeds were transported to the Arboretum where they will grow and eventually be planted. Did you know Flagstaff’s growing season is only 90 days long? This growing season is distinctly short, so we are excited to get a head start on our gardens. Thank you to Gayle for all of the outstanding advice and information, and thank you to everyone who came out to help start seeds. Missed it? We have a bunch of great adults workshops coming up, click here to check our upcoming schedule.